Ewan and Charley are good friends and fun-loving lads. They managed to execute a dream that many have on dull office days, namely to get away for weeks, get on a motorbike and let the hair blow in the wind. Motoring around the world eastwards from London, through Siberia and North America sounds romantic and adventurous indeed, but can turn out to be challenging for idealists. In fact you realize how luxuriously lazy your life is, when you decide to give it up and fight the elements and the tarnac lacking roads of Siberia. As a bonus, you might get to be life-long enemies with your best friend. But of course, you asked for it. First of all, I hate motorbikes. If their is something that drives me mad is the loud roar of an engine and I can’t imagine anything more disturbing in nature than this devilish machine. Secondly, I haven’t seen the TV series that documents the trip, however I read the travelogue and am sure that the series must be better. Little is written about the places our heros press through; the focus is more on the adventure, the personal experiences and the spirit of independent travel. 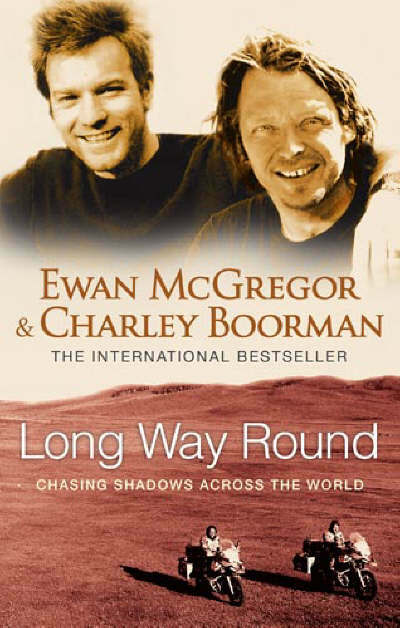 Part of the attraction naturally is Ewan McGregor, who is a likeable chap and an undeniable celebrity. In this unique case therefore, I suggest that pictures speak better than words.